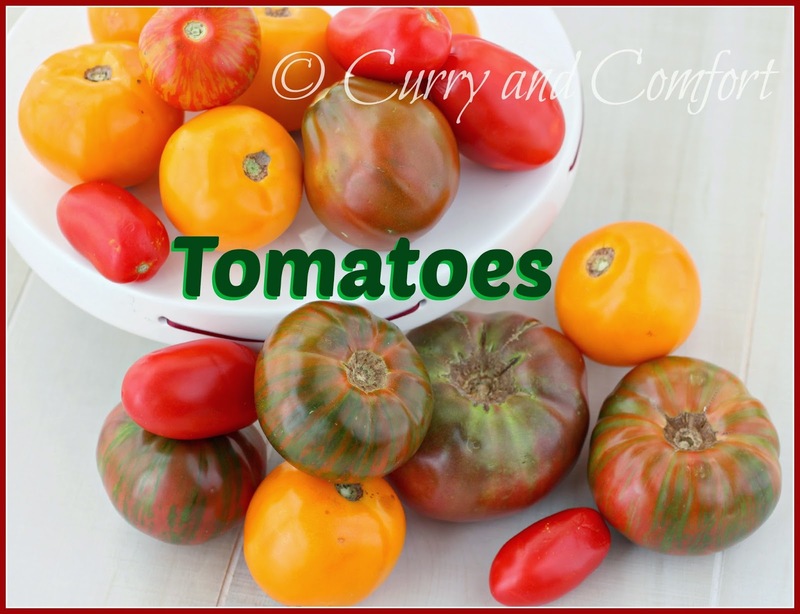 Today is day 4 of Tomato Week and it's also Throwback Thursday. 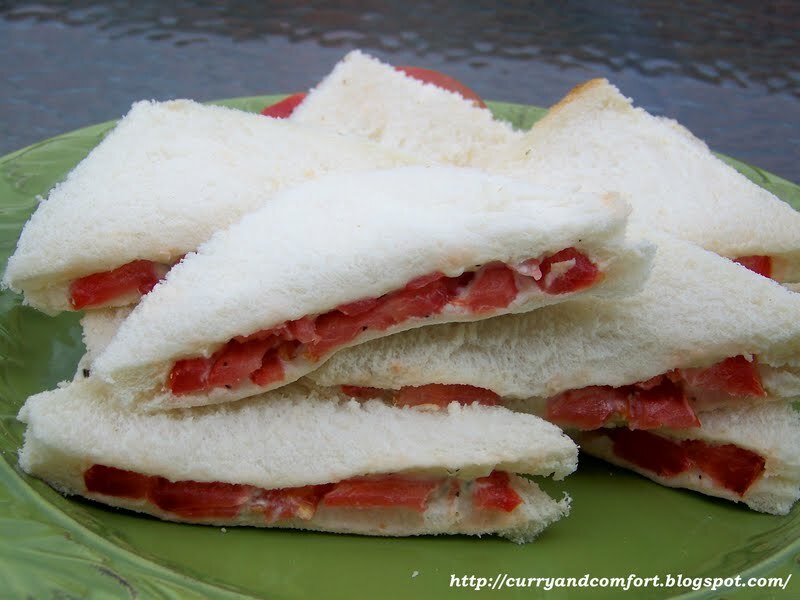 I was excited to redo my tomato sandwiches because not only are they delicious, I disliked my old photos a lot. 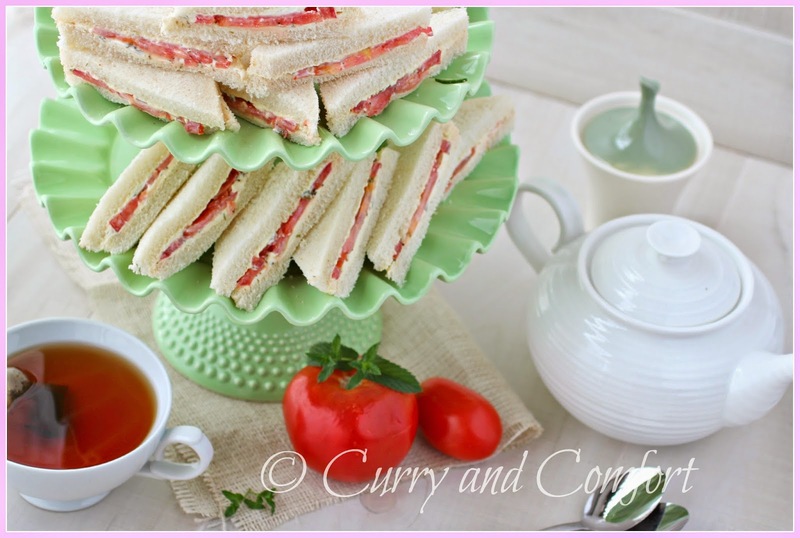 These sandwiches were a hit with everyone and they enjoyed them with some Cucumber Tea Sandwiches. Chive flavored cream cheese is a key ingredient to my cucumber sandwiches. If you cannot find this, you can try to make your own by mixing plain cream cheese with 1/2 tsp of onion powder and 2Tbs of minced fresh chives. 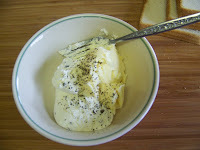 I also like the texture of the "whipped cream cheese because it spreads much easier on the bread. 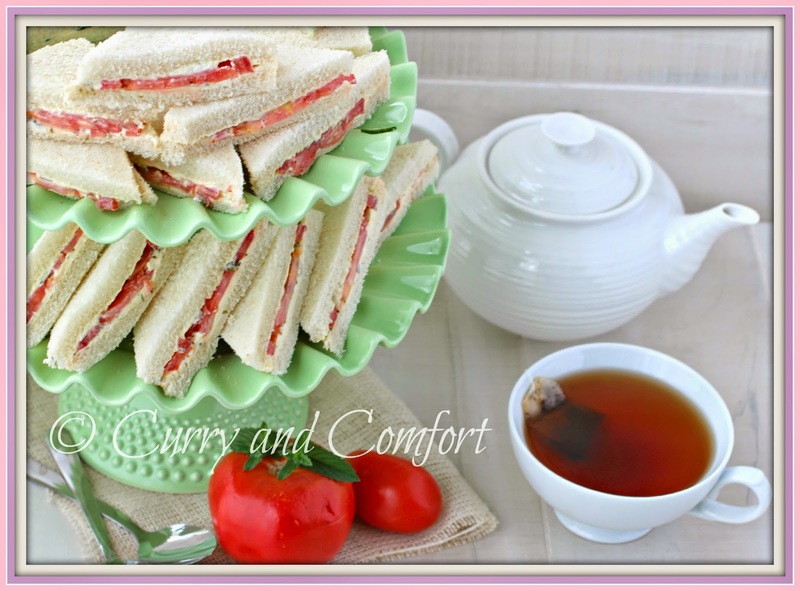 I recommend sandwich bread for these Tea Sandwiches. They are sliced thinner and tend to be softer than regular bread. 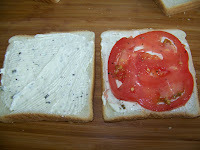 I also recommend white bread because the flavor is mild it allows the tomato and the spread to take center stage. 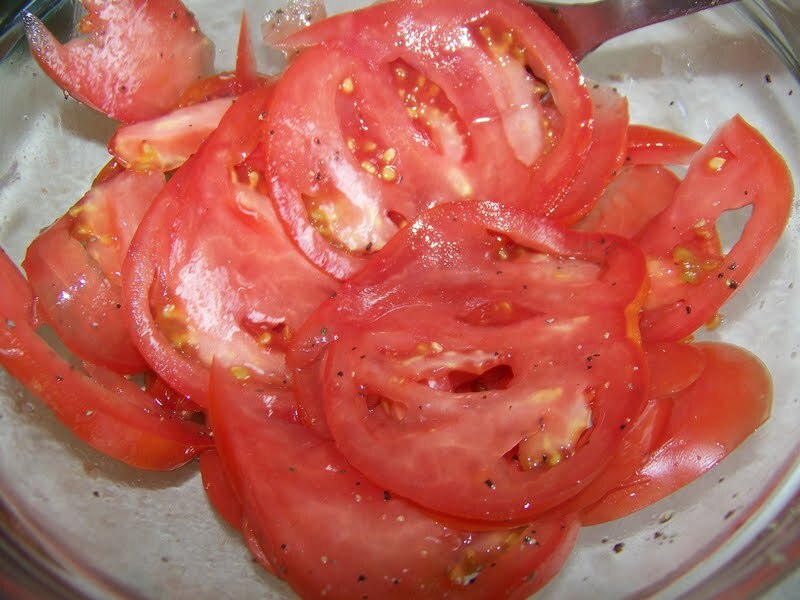 Season tomatoes with salt, black pepper and vinegar. Mix the chive cream cheese, butter/margarine and some extra pepper for the spread. You want the ingredients to be soft, but still solid. I suggest you keep the ingredients cool so it allows the spread to be applied easily, but doesn't melt onto the bread . 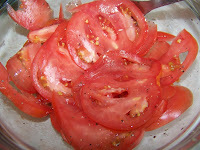 Season tomatoes with salt and black pepper. 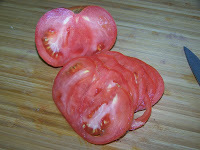 I also like to use a little vinegar to give the tomatoes some extra "zing", but this is optional. Apply the spread on each slice of bread. Then cover one slice of bread with a layer of tomato (try not to get too much liquid with the tomato). Top with the other slice of bread. To keep bread from drying out you can cover it with a damp paper towel. Enjoy. 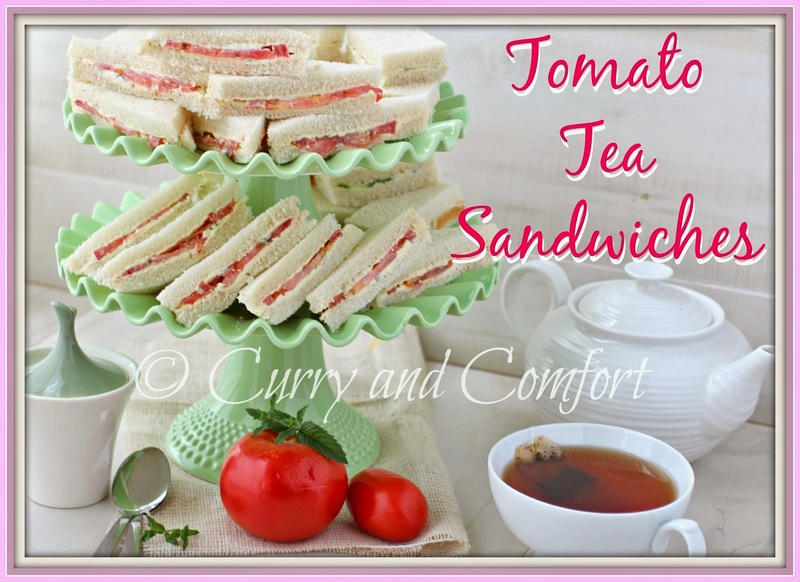 I LOVE tea sandwiches. When I was little I used love white toast with tomatoes and a slice of cheese and mayo. How un-refined is that? I bet I would still like it though. I KNOW i would love these little sandwiches. Buzzed. Oops...I think my comment is lost in cyber space! This was a GREAT series and I just love tomato sandwiches. I always had mine with tomatoes and salt. I love the idea of chive cream cheese. Buzzed this one!